Understanding lead abatement costs and contracts. The lead abatement world can be a foreign, confusing place. Strict yet confusing regulations and the stress of dealing with a toxic substance in your home make for a very taxing situation. To add to this, lead removal costs are difficult to define. To give you an idea, the average lead abatement costs for your typical residential home in Massachusetts is $17,000. However, prices vary significantly depending on many factors – local and state regulations, the property’s location, architectural style, and age among other things. To choose the right contractor for your job though, it’s important to know what to expect for costs and what to look for in the contract verbiage. Many times a tempting low price from a contractor is accompanied by a proposal with very little detail about the exact work being done. Once that proposal becomes a contract, that lack of detail often translates into hidden costs since many things that a customer might expect to be included become “extras.” Not only can these unknowns cost you headaches, it can cost you dollars. The devil is in the details, and in this case the details are in the contract! 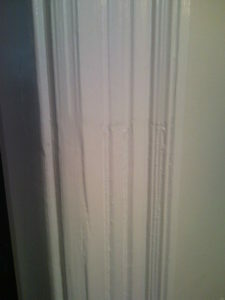 The above photo shows the clear line where the scraped paint meets the original paint and the damaged woodwork from the previous contractor while the below photo shows the trim after we went it to fix it. 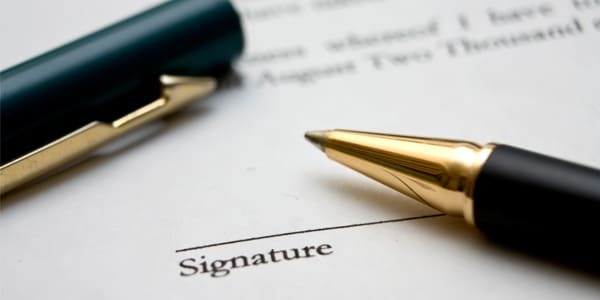 Unfortunately, not all contracts (and therefore scopes of work) are created equal. There are many ways to bring your building or home “into compliance” with the lead law. But many companies will take short-cuts or provide inadequate solutions in an attempt to cut down on costs, simply stating in their proposal that they will “bring the property into compliance” or some similar wording. While this might make for a nice, low price, these shortcuts can cause serious problems and cost you far more in the long run. Recently, one of our clients had gone with the lowest cost contractor before finding us. The contractor’s proposal had simply stated their house would “be brought into compliance.” Since it wasn’t spelled out in the contract and the homeowners didn’t know all the myriad ways to satisfy the state requirements, their contractor opted to strip the non-compliant woodwork to 5 feet. While this is a valid way of satisfying the requirements of the law, it was hardly an appropriate solution for their turn of the century colonial. Their home’s lovely original woodwork was irreparably damaged by the deleading process, with gouges and deep grooves left in the wood. Not only that, but there was a very visible paint break line at the 5 foot mark throughout the house. This homeowner was obviously unhappy with the end product, but the contractor had technically satisfied the wording of the contract. The house was in compliance with the lead law. 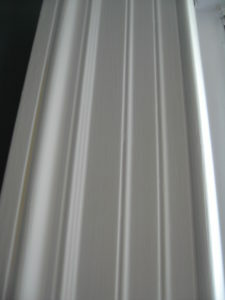 Alpine was later hired to replace the woodwork with appropriate matching poplar trim. The work had to be done using lead safe work practices since the original woodwork still had lead paint on it above the 5 foot mark. The end result was a home that was safe for the clients and their young children to live in, with woodwork that looked great and matched the original architecture and style of the house. The takeaway from this is to carefully read through every proposal or contract you receive, making sure they include clear descriptions of the work they intend to do. Don’t be afraid to invest a little extra money upfront if the company is properly licensed, includes extensive lead removal, and utilizes safe work practices. Sometimes the cheapest option isn’t the best option. Questions or comments? Contact us today and our lead specialists will be happy to help.